Wow! 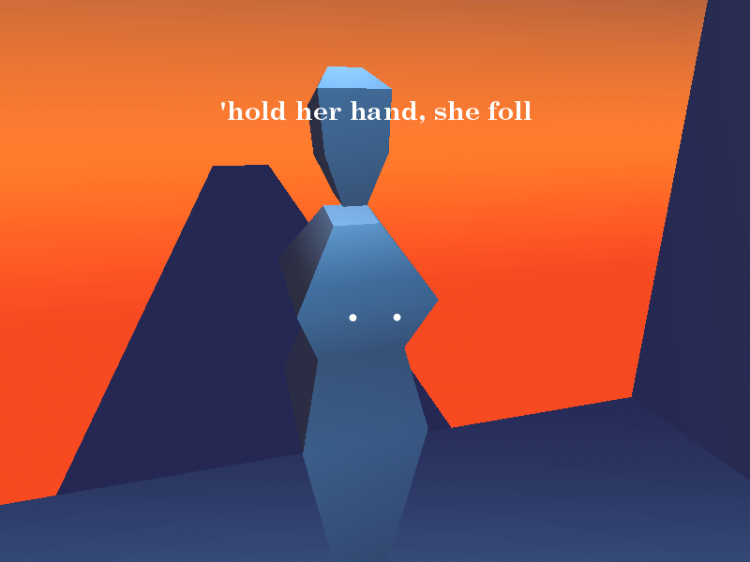 The mindful xp volume (a collection of our games from the mindful xp project) has been chosen for the IGF 2013 Student Showcase. We are honored and humbled to be selected by the judges for IGF 2013 and we’re looking forward to being at GDC and the IGF pavilion with all the other awesome student winners. Thanks to everyone who supported and gave us advice throughout this project including, but not limited to Jesse Schell, Ralph Vituccio, Drew Davidson, Paolo Pedercini, Andy Nealen, Ian Bogost, Craig Adams, Walt Dessler, Adam Lederer, Luke Jayapalan, Chris Bell, Aubrey Hesselgren, the fine folks at Meaningful Play, the awesome dudes at Experimental Gameplay Project, our fellow students at the ETC, everyone who played/shared/commented on our games, and many more! We’ll see everyone in SF! Thanks for the great time at the Meaningful Play 2012 conference. We know some people were interested in our poster and might have not been able to get a good look at it, so here it is online for your convenience. 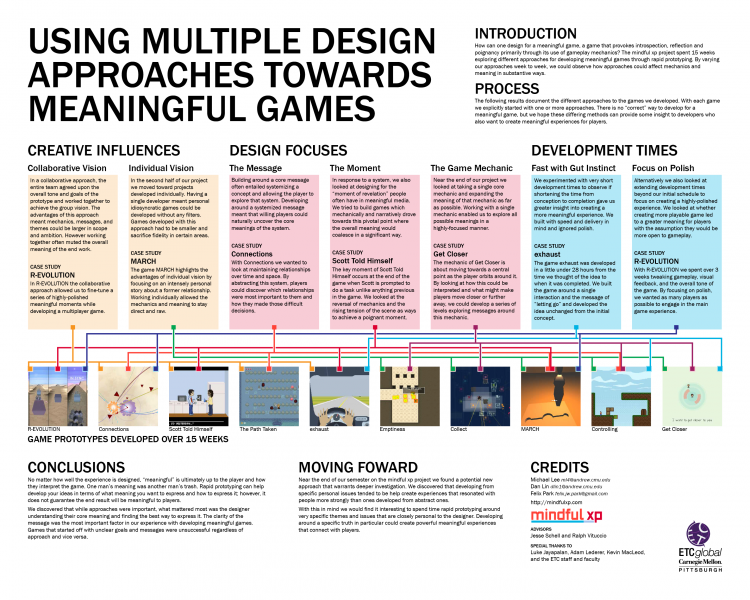 During the summer we’ve been busy submitting our work to various conferences both industry and academic, and we’ve happy to announce that we’ll be featured for both a speaker session and poster at Meaningful Play 2012, at Michigan State University! The conference is from October 18-20th, and our session will be directly after the keynote on the first day, the 18th. Our session is titled “The mindful xp experience: Developing meaning through rapid prototyping“, at 11:00-12:00 in the Tower. The full program schedule is here.